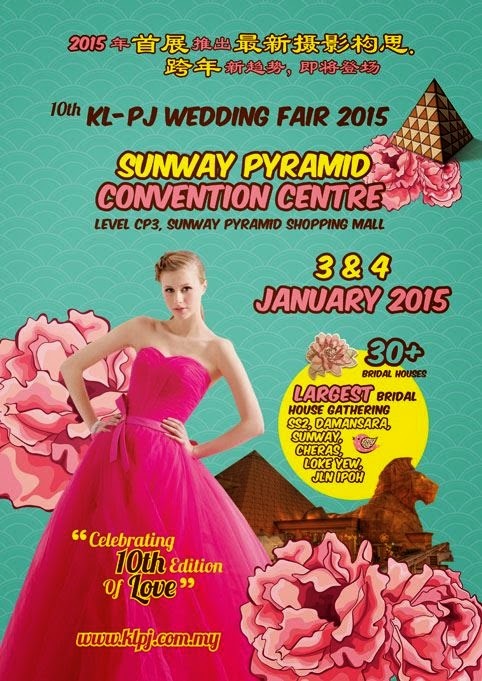 KL-PJ Wedding Fair is the premier bridal expo in Malaysia. The first wedding fair in year 2015 to launch the latest concept of pre-wedding photography, will feature the renowned KL-PJ Top 30 Local Bridal Houses from SS2, Sunway, Damansara, Puchong, Jalan Ipoh, Loke Yew and Cheras. KL-PJ Wedding Fair 2015 also incorporates Hotels & Restaurants for Wedding Dinner, Wedding Live Band, Wedding Planner, Wedding Gown, Wedding Decoration, Photobooth and other suppliers. Do you like KL-PJ Wedding Fair?